This version includes the new Bluetooth connection features seen in the video posted yesterday. The main new feature is that the app can now connect to paired devices using regular Bluetooth. This should enable the app to work with most Bluetooth modules. I’m still doing some final tests, so it’s not on Google Play yet, but it should be up there by tomorrow. 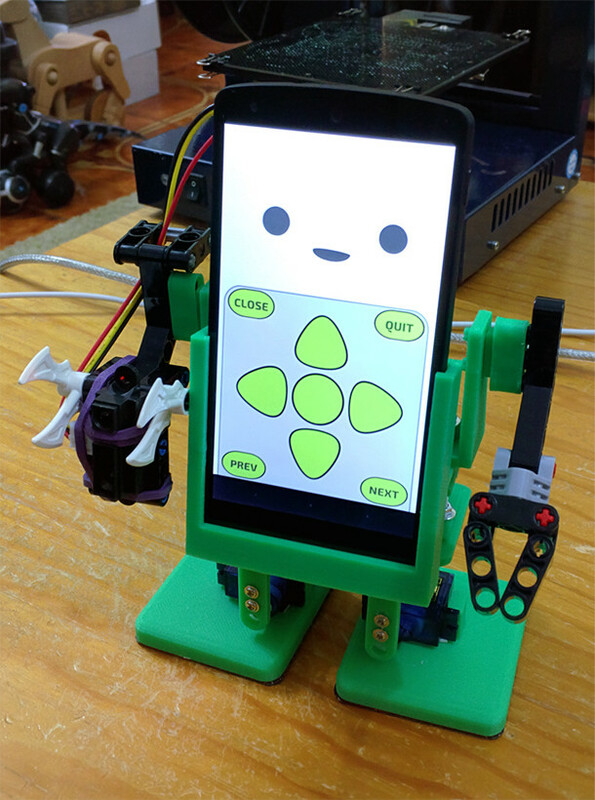 With this update, you can now use the MobBob app with any Arduino controller and most Bluetooth boards! I’ve created some new 3D printable parts that let you add arms to MobBob V2. 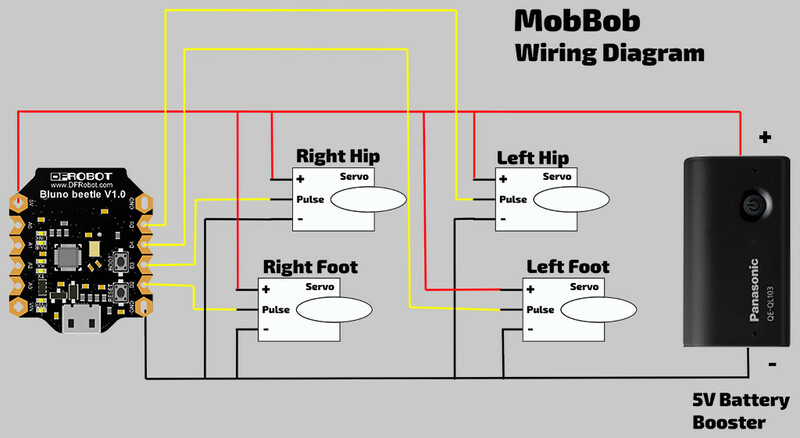 Here are some more detailed steps to help you build MobBob V2. MobBob app is now on Google Play! To make it easier for people to install and update, I’ve now put the MobBob app on Google Play.